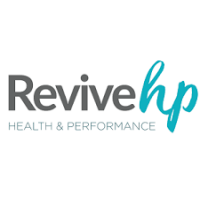 ReviveHP Health and Performance is a rapidly growing name in the health industry. We currently specialise in multidisciplinary services in the Greater Western Sydney Region. #TeamReviveHP focuses on identification and treatment of the causative factors of injury. These can range from simple daily duties such as washing and gardening to high impact sports. Other factors include over working, stress, dissatisfaction with work, poor lifestyle habits, lack of adequate food intake, lack of sleep, poor posture. Our Goal isEDUCATE.EMPOWER.INSPIRE our patients to a better healthier version of themselves that can then tackle what life throws at them.